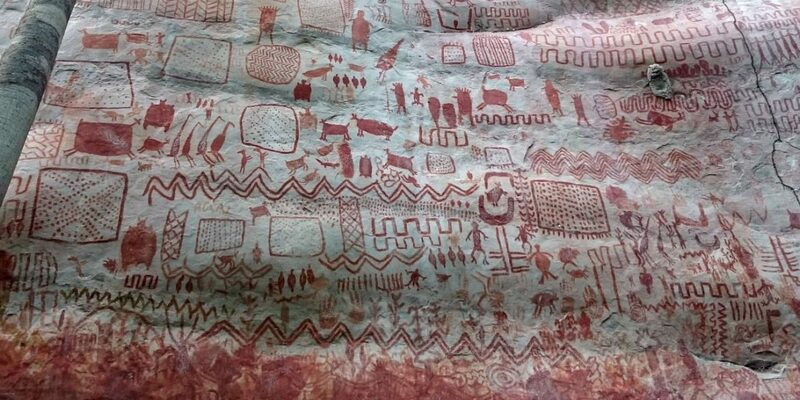 Colombia’s national parks authority has declared one of the world’s largest displays of prehistoric art a protected site. The Serrania La Lindosa is one of the country’s most important archaeological sites with a history of a staggering 12,000 years. While European peoples were barely awakening from the last ice age, Amazonian peoples were highly active in what is now the Chiribiquete nature reserve. 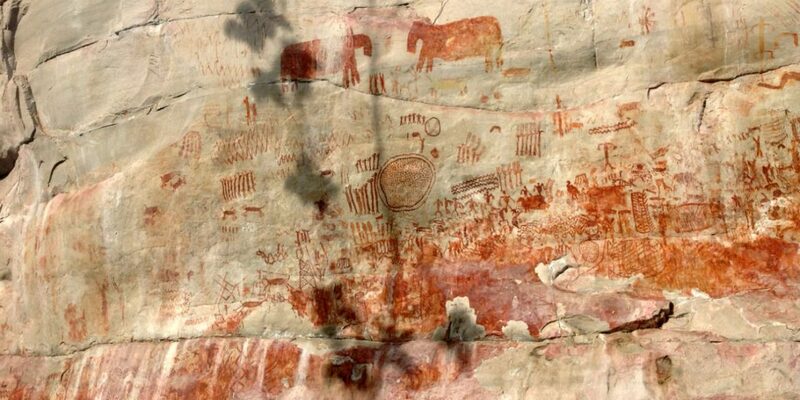 For thousands of years, the rocks in the park were used for art, leaving modern man one of the largest displays of prehistoric pictographs in the world. The site is located less than 10 miles from San Jose del Guaviare, a town on the frontier of the Amazon forest. 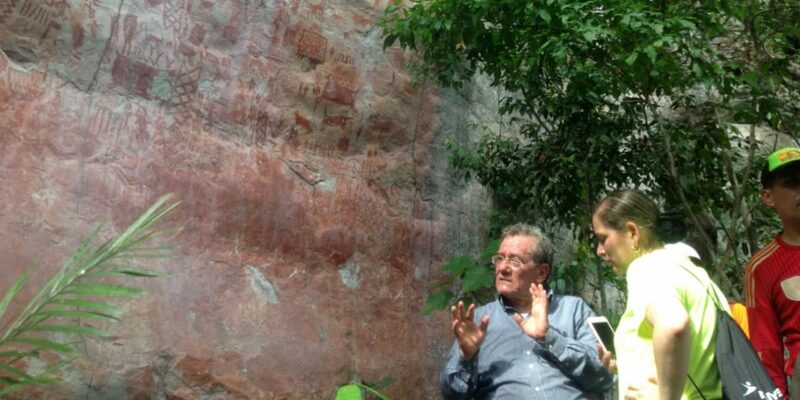 Conservation or even investigation of the pictographs was virtually impossible for decades; until last year the area was largely controlled by now-demobilized FARC guerrillas. The Guaviare governor’s office and national authorities are now investigating how to make the archaeological site and the nature park around it accessible to the public. The national parks authority declared the site a Protected Archaeological Area earlier this week and has been developing a Archaeology Management Plan for years. The plan seeks to protect the regional environment while developing sustainable tourism projects with local communities.